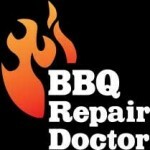 Professional and affordable BBQ repair in Pacific Beach! HIGHLY RATED! Our company does BBQ repair in Pacific Beach. We also do BBQ cleaning, BBQ restoration, and outdoor kitchen repair services. Our team is factory trained and certified in a majority of brands. In fact, there is not a brand or model of a BBQ grill that we do not know how to fix. 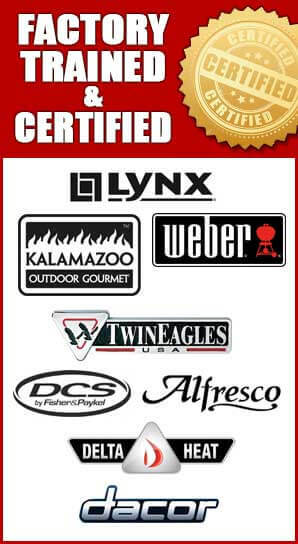 In particular, we specialize in all the high-end appliances such Alfresco, Capital, DCS, Fire Magic, Kalamazoo, Lynx, TEC Sterling, Thermador, Twin Eagles, Viking, Weber, Wolf and much more. 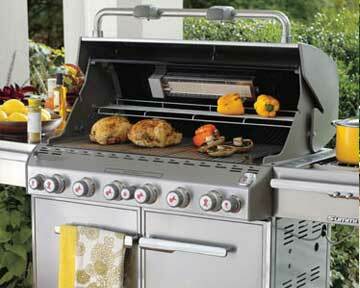 Our highly skilled technicians know everything there is to know about BBQ repair. They will help you through the whole proses and will bring your broken grill back to life. Customer satisfaction guaranteed! BBQ repair in San Diego example.For BBQ repair in Pacific Beach, give us a call at 858-433-0703. 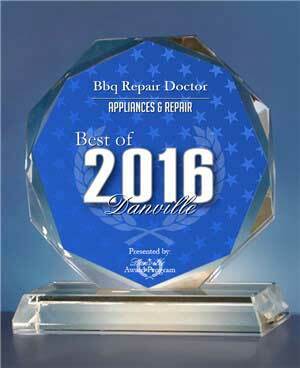 We will get back to you right away and will schedule you for our fast and convenient appliance repair appointment. Our technician will be on his way ready with all the parts, tools and equipment necessary for your particular project. He will quickly start working on your grill. Usually, first, he will take it apart and thoroughly examine it. We are top professionals when it comes to BBQ repair in Pacific Beach. 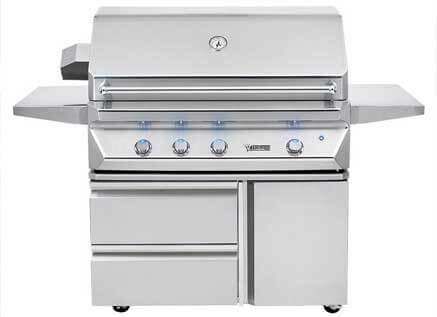 Our company has more than 30 years of experience dealing with all brands and models of BBQ grills. Our technicians have a lot of experience and know their craft very well. In fact, they are all factory trained and certified. You can not find a company with more combined knowledge and better skills in outdoor appliance repair. Also, we have friendly customer service. Our technicians are always super helpful and polite. You will be treated fairly and get your grill repaired by the best people in the field of BBQ repair. Customer satisfaction guaranteed. We would love to help you with all of your BBQ repair in Pacific Beach needs! Please call us at 858-433-0703 schedule an appointment or ask a question. Or fill out our short online form. We would love to hear from you and answer all of your questions.